air grease pump|oil po|tool box|grease gun|Yongkang Luda Industry & Trade Co., Ltd.
Yongkang Luda Industry Co.,LTD. 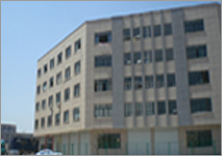 Located in China Hardware Capital——Yongkang,Zhejiang. Base on Brands & technology,we are develop to One of biggest Manufacturer of grease gun & air operated grease pump. Since 2002 to 2010,our product was increase more than 100 items,such as Air grease pump,hand & foot grease pump.heavy duty grease gun,air grease gun & some grease accessories.